Knowing the warning signs of drug and alcohol relapse can help prevent you or someone you care about from spiraling down the path of self-destruction. The different warning signs of impending relapse. Why relapse doesn’t equal failure. Most drug rehab treatment and recovery programs focus on making positive changes in a person’s life. They aim to get that person out of their old habits and away from their environment, and into a new happy and healthy outlook on life. However, when a person stops focusing on recovery or begins fantasizing about the days when they were using, this is when relapses may occur. The 9 signs of relapse below are indicators that something might be wrong and should propel you to get support for yourself or your loved one right away. It can be easy to remember only the good times when you were using—the times when you were partying and having fun. But remember, you got sober for a reason. At some point, drug or alcohol use was no longer fun. In fact, it probably created a lot of harm to your health, personal life, professional life, financial situation, and perhaps even saddled you with legal issues. Make a list of the things that make you happy in your sober life. This will help to foster an appreciation for your drug-free life and remind you why you entered treatment in the first place. While recovering, you may be compelled to use recreationally. For example, by having “just one drink,” you might think you can prove that you’ve beaten your addiction. Those strong in recovery understand that just one time is bound to become many more times and lead you back to the place you worked so hard to leave behind. Hang out with a sober friend. It’s normal to miss your friends. But putting yourself back into an environment in which you used regularly is too tempting for most people struggling with a substance use disorder. Relapse prevention relies on new healthy environments that promote sobriety. Identify and avoid tempting and negative environments in which drug use is prominent. If you find yourself wanting to reconnect with old friends, try to schedule social activities with a group of sober friends. If you’re struggling to find a group of substance-free friends, consider attending a 12-step meeting or joining a non-12-step support group, such as SMART Recovery. These supportive environments are both encouraging and empowering. They are designed to make you feel comfortable sharing your experiences. If you are sliding back into your old patterns, you probably recognize it to some degree. But you may take a defensive stance toward yourself and your friends. An extremely defensive attitude should sound an alarm to you (and those close to you) that you may be damaging your own recovery efforts. If you notice that you or your loved one has become defensive, it could be a sign that they are using again, or are at risk for a relapse. Friends and family: Engage in open communication and approach your loved one in a kind and gentle manner, expressing your concern for their health and recovery. Avoid angry confrontation or blaming, because that will cause further denial of the problem. Former addicts: If you recognize that you are becoming defensive, you may want to call your sponsor, if you have one, or a sober friend, to discuss your attitude. Sudden behavioral and attitude changes are clear signals that something is wrong. 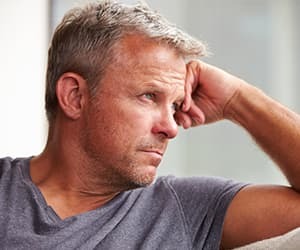 If you are abandoning your recovery efforts and noticing changes in your attitude and/or sudden feelings of depression and loneliness, a drug relapse may be close at hand. Recognize the emotions you are having, such as depression, disappointment, sadness, embarrassment, rejection, or hurt. Use coping self-talk to remind yourself that the escape is just temporary and not worth giving up your sobriety. Your problems and emotions will still be present once the substances wear off. Using a mindful approach, begin to explore those uncomfortable feelings with curiosity, kindness, and acceptance. Relapses often happen because people don’t want to acknowledge their unwanted and uncomfortable emotions. They use substances to escape from these feelings temporarily. Lying to your loved ones. Spending less time with family. Resenting those who are trying to help. Seek solace with your group of sober friends or meet up with your sponsor, if you are an active member of a 12-step program. Be open with them and explain the issues you’re experiencing. Chances are, they’ve gone through similar problems and can provide you with useful advice. You can also talk to your therapist if you attend individual therapy and alert that person of your interpersonal concerns. Whatever you do, don’t stifle your fears and feelings. It’s best to discuss them with someone. Positive activities can be key in preventing relapse. Loss of interest in the hobbies that you love is a red flag that your focus is in danger of shifting from your recovery to negative feelings, thought patterns and the desire to use. Make a list of the hobbies that you genuinely enjoy. Then plan to do a recreational activity that you once loved. Set a time frame and do the activity, even if it’s hard to get started. If you do this often, you are likely to find joy in your hobbies once again. Additionally, alert your therapist of this sudden change so that you and the therapist can collaboratively explore why this may have occurred. If someone seems to be suddenly experiencing withdrawal symptoms, you should be concerned. This is one of the most telling signs of relapse because it means that they have begun using again. It’s important to be educated on what the withdrawal symptoms are so that you can recognize them. Approach the person in a nonjudgmental and empathetic way. Say that you are concerned about them and ask if they’d like to talk about anything. Remember to avoid an angry and confrontational tone, because the person most likely won’t be willing to talk to you if you aren’t compassionate and welcoming. If your loved one is receptive and admits to using again, you should suggest re-entering a treatment facility and make sure that you will support them every step of the way. A sudden shift in the way you think about your recovery program can lead you quickly down the path to using again. Belief in and dedication to your program is an essential part of staying sober. Talk to a doctor or therapist to learn about alternative options that may be more helpful. Recovering from addiction can take many attempts. Try not to be too discouraged if you or a loved one demonstrates any of these warning signs or experiences a relapse. Recovering from drug or alcohol addiction is a trying process that may take many attempts. One of the most important things for recovering addicts and those around them to realize is that relapse doesn’t mean failure. The truth is that relapses are common for people attempting to recover from drug or alcohol addictions. In fact, according to the National Institute on Drug Abuse, approximately 60% of all recovering addicts experience a relapse at some point. If you or a loved one has fallen back into addiction, try not to assign blame or say that recovery failed. You can always get back on the road to recovery. It’s incredibly necessary to keep a positive and encouraging attitude throughout these obstacles to life-long recovery. Patterson, M. (2009). CBT in Practice. Kadden, R. et al. (2003). Cognitive-Behavioral Coping Skills Therapy Manual: A Clinical Research Guide for Therapists Treating Individuals With Alcohol Abuse and Dependence. U.S. Department of Health and Human Services, National Institute on Alcohol Abuse and Alcoholism.